On a recent paddling adventure on the west coast of Vancouver Island in Canada we used a couple of our packsacks to care for electronics. We knew ahead of time that cell phone coverage was available in some of the places we visited, so although the iPhone wasn't used, it came along as a safety device for communication (in tandem with marine radios). An iPhone fits perfectly in the Crush Drybag 3XS. It's not submersible but will keep the phone dry in everything short of underwater situations and the inner padding adds a bit of shock proofing. 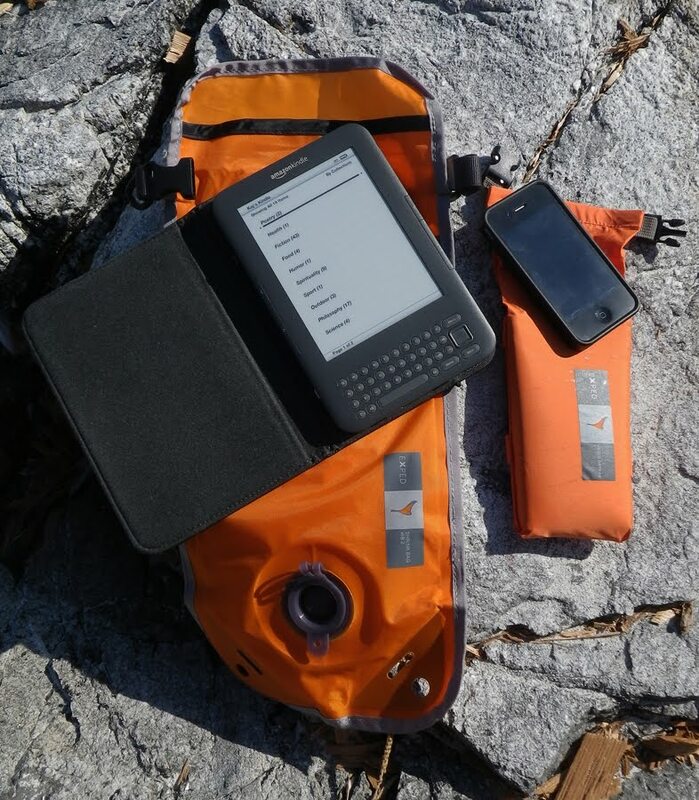 We were also well aware that there might be some time to relax in the sun with a good book, in this case a Kindle - and we were right! But like the iPhone a Kindle needs protection from water, sand and dirt. The Shrink Bag Pro in the 2 liter size fits a Kindle (including cover) very well.